Posted 25 January 2019 . 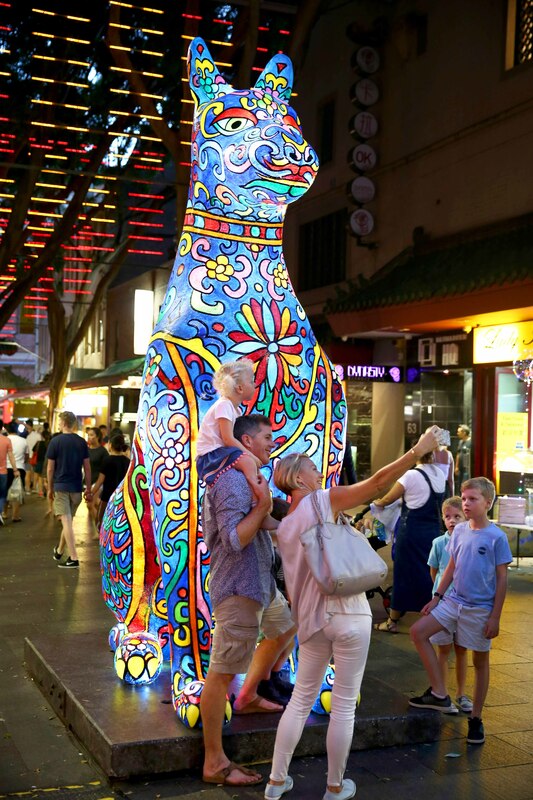 The City of Sydney festival from 1–10 February will see two special Lunar Lanterns at Green Square and everything from lights and lion dances to classical violin and calligraphy demonstrations to celebrate the Lunar New Year. 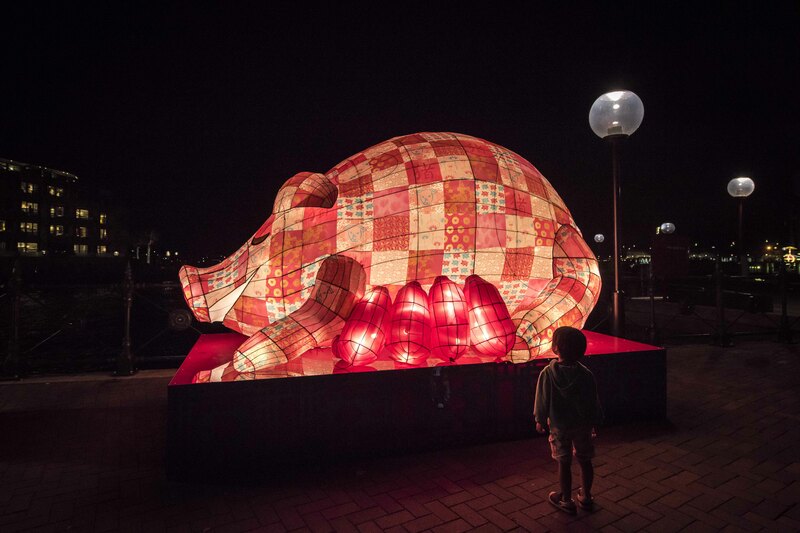 The two dog lanterns by Shanghai artist Fan Dongwang are part of the celebrated citywide exhibition, extending from Circular Quay to Chinatown. 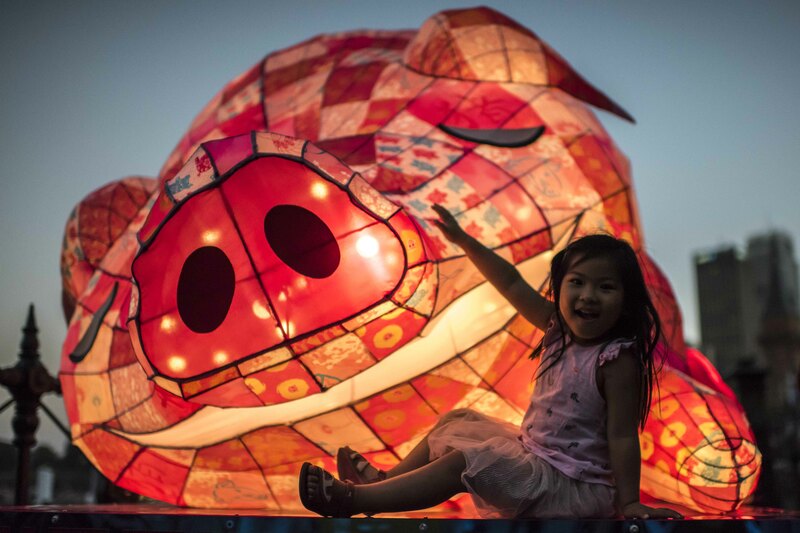 Visitors will find a ‘pig in a blanket’ lantern in the plaza and two towering yin and yang dog lanterns guarding the entrance to the state-of-the-art library entrance. Lord Mayor Clover Moore and Councillor Robert Kok will take part in the festivities with a red packet walk in Green Square on Saturday 9 February. “I am very excited to be bringing the City’s Sydney Lunar Festival celebrations to Green Square for the first time” the Lord Mayor said. 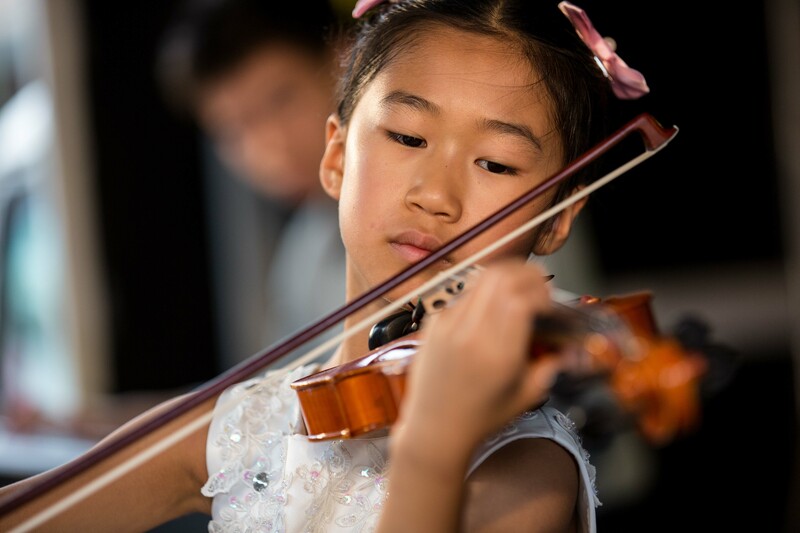 A program of classical music performances by three Asian-Australian musicians, including pianist Van Leucia and 11-year-old violinist Justine Zhang, will be a highlight of the Green Square celebrations, taking place in the library tower. The highly talented Miss Zhang said: “The lunar year festival is an important annual event for me, my family and friends. My performance at the Green Square concert will give me the opportunity to stand up on a stage and share my talents, and celebrate the festival in my way – through the language of music. The library, which will be adorned by festive red lanterns, will host a free Chinese calligraphy demonstration on Saturday 2 February from 1pm to 3pm, where visitors can learn about calligraphy and try their hand at the ancient Chinese art. 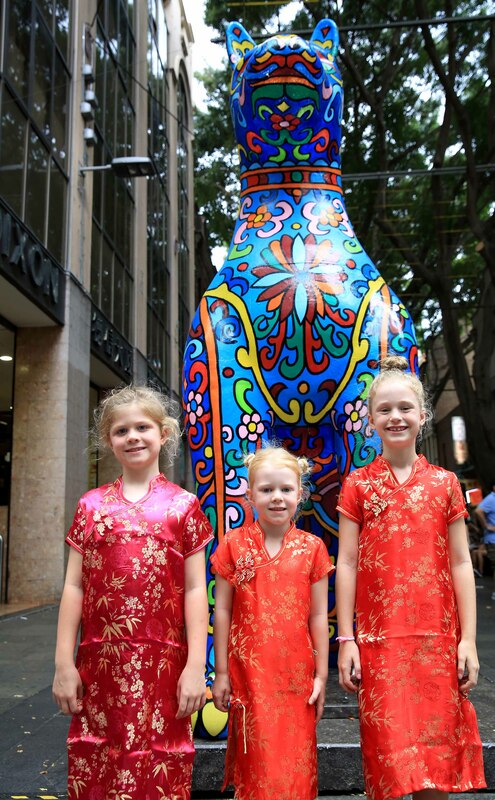 Sydney Lunar Festival has evolved from a small community celebration in Chinatown 23 years ago and now attracts more than 1.3 million visitors from all over the world each year.